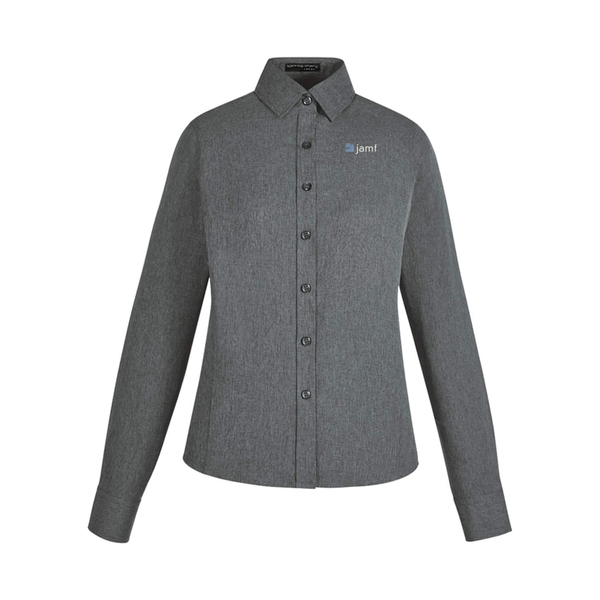 This moisture wicking performance shirt has front and back princess seams, a hidden button-down collar, back yoke with side pleats, double-needle flat felled side and underarm seams and tailored adjustable cuffs with buttoned sleeve plackets. Made of 100% polyester, mechanical stretch, two-tone melange. Body Width 18.25" 19.25" 20.25" 21.75" 23.25" 24.75" 26.25"
Full Body Length 24" 25" 26" 27" 28" 28.5" 29"
Sleeve Length 31" 31.5" 32.5" 33.5" 34.5" 35.13" 35.75"